For professionals who are on the lookout for a great butane based soldering tool, we have a great news. 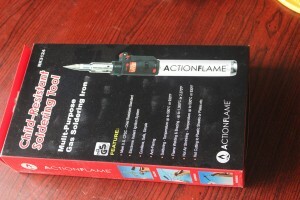 Recently, we got on our hands on Circuit Specialists RK3124 Action Flame butane soldering tool and today, we are writing an in-depth review of the same. Trust us, the kit is fantastic. However, as a soldering professional you would like to know how this product fares in various aspects rather than general acceptance. We understand that and decided to come up with a detailed review of RK3124 in which our team looked the product from various angles. Over to the review itself. It’s a butane based soldering tool, means the device powers itself using the butane gas. 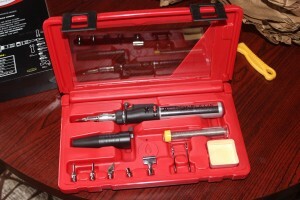 It also means that the tool is a cordless soldering iron. RK3124 is not just one tool, but an 11 in 1, a multipurpose device which helps people in soldering, welding, brazing and with many other operations. Started out in 1971, they are a well-known brand in areas such as soldering equipment, oscilloscopes, digital panel meters and much other power equipment. Located in Arizona (U.S), not only they have a great range of products to offer, also boast an excellent support system comprising of email and direct calling, enabling customers to get in touch with the company for any kind of assistance. The product arrived at our place, well packed and in a pretty good condition. Upon unboxing, you will see that the kit is packed in a very solid high-quality plastic case. We felt that the case is very sturdy and handy to carry (remember, we are talking about cordless tools here). The box has one main unit of a butane torch and other accessories such as a hot blower, wrench, various tips and other supporting items. Note that the product doesn’t come with fuel (we suspect that it’s mainly due to transportation limitation of gas) and you would need to fuel the device with high-quality butane before you start using it. 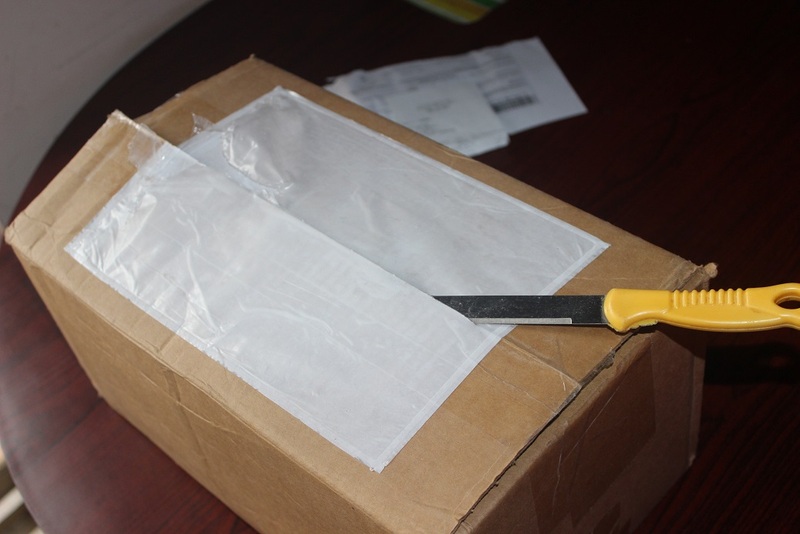 We advise you to refer to the user manual that comes along with the product for instructions. Because you will be dealing with extremely inflammable gas. RK3124 has come great features to offer. One of them being the child lock safety feature which is aligned with U.S.CPSC Approval Child Safety Standard. The tool works with electronic ignition. While welding, the temperature can reach up to 1300°C / 2370°F and same for soldering up to 500°C / 930°F. You can continuously work for 60 minutes during a single operation. Speaking about advantages, we felt that the one of the biggest advantage of this kit are its ability to serve multiple purposes with one single kit. Manufacturers have taken care of exercising great safety feature which is another notable advantage. 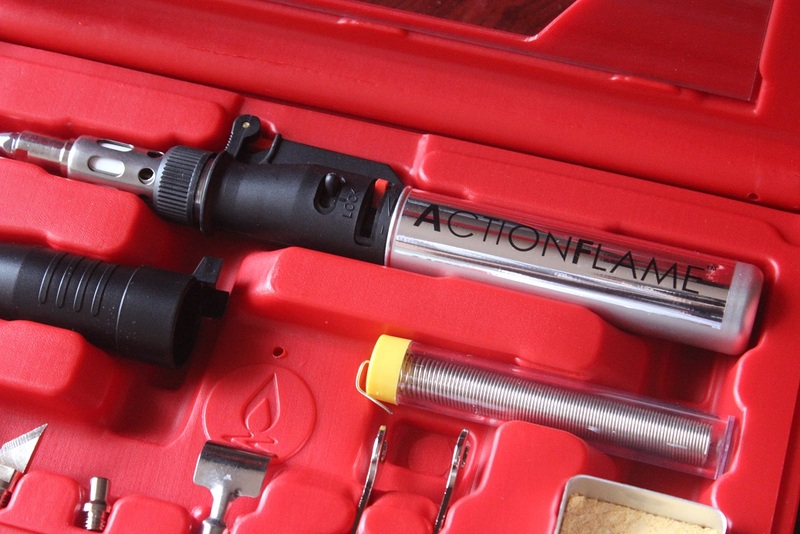 Moreover, the overall quality of the butane torch and included accessories is pretty good and the kit is going to be your companion for a long time for sure. Another pro we can talk about is the affordable pricing of the product. Just under $30, it’s quite inexpensive. We couldn’t think of any major con for this product, however, the operation time could have been little longer than it’s currently (60 minutes for a single operation). 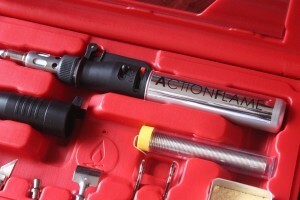 Circuit Specialists Action Flame RK3124 is a compact, handy, butane soldering kit and offers multitasking features. Priced just under $30, it offers great value for your money. We have a ‘GO’ for this one.